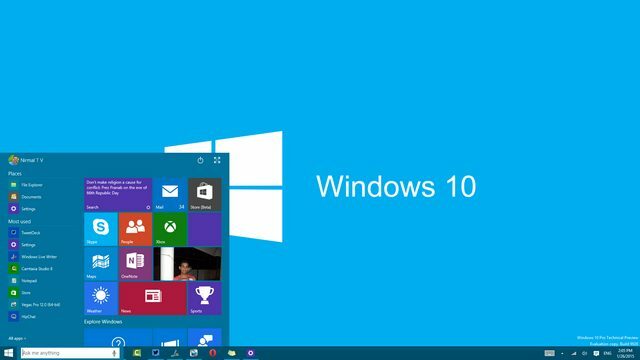 Microsoft has released a new cumulative update KB4012606 Build 10240.17319 for Windows 10 RTM users. You will see a new Cumulative Update for Windows 10 based Systems (KB4012606) in you updates. Previously, the company released update build 10240.17236. Addressed known issue called out in KB3210720. Users may experience delays while running 3D rendering apps with multiple monitors. Addressed issue where the Active Directory Administrative Center (ADAC) crashes when attempting to modify any attribute of any user account in Active Directory. Improved the reliability of .NET and Internet Explorer. Addressed issue that fails to launch a Help browser window when you click the Help icon in File Explorer. Addressed issue to allow wildcards in the Allowed list field for the Point and Print Restrictions Group Policy. Addressed issue that reduces performance because excessive multicast Domain Name System packets are created whenever new devices are searched for, added, or removed. Addressed issue that prevents clients from accessing a file server when using Server Message Block 1.0 and NT LAN Manager authentication after an upgrade. Addressed issue that causes text to disappear when you resize an Internet Explorer window after changing the encoding to Hebrew. Addressed issue that occurs in Internet Explorer when the CSS float style is set to “center” in a webpage. Addressed issue that may cause an app or webpage to become unresponsive or sluggish if it uses the web browser functionality of Internet Explorer 11. Addressed issue that causes Internet Explorer to fail after removing a CSS style. Addressed issue that causes Internet Explorer to fail after installing KB3175443. Addressed issue where a list in a combo box fails to update based on the selected item in another combo box. Addressed issue that occurs when copying a file that has Encrypting File System (EFS) encryption to a share that is not encrypted by EFS. Addressed issue that causes the Start menu and other items to disappear or malfunction when using roaming user profiles. Addressed issue that causes excessive audit log events when using the Audit File System category. Addressed issue where devices go into BitLocker recovery if users enter the wrong password. Addressed issue that causes high CPU usage for scheduled tasks when using devices whose daylight saving time occurs at 12 A.M. Addressed issue that fails to apply the Group Policy setting value of “Unrestricted” for the media connection cost. Addressed issue that prevents administrators from accessing mapped network drives. Addressed issue that causes print preview to fail in Internet Explorer. Addressed issue in which locally installed fonts are not used when Font Download is disabled in Internet Explorer. Addressed issue that causes incorrect table dimensions in SAP® applications. Addressed issue that prevents a webpage from loading after logging in to a site. Addressed issue where a text box doesn’t allow the user to type the maximum number of allowed characters when using the Japanese Input Method Editor in Internet Explorer. Addressed issue that loads websites that bypass the proxy server in the local intranet zone when the Intranet Sites: Include all sites that bypass the proxy server (Disabled) is set. Addressed issue that prevents Internet Explorer from receiving keyboard events from external processes using addEventListener. Addressed issue that overwrites a <br> element when users select a line that is enclosed by a <span> element. Addressed issue that allows files that are forbidden by the security zone setting to be opened in Internet Explorer. Addressed issue where using registry exclusions with Unified Write Filter (UWF) enabled increases the system boot time substantially. Addressed additional issues with updated time-zone information, Windows Shell, enterprise security, Internet Explorer, and updates to the Access Point Name (APN) database. Security updates to the Windows OS, Windows kernel-mode drivers, Microsoft Uniscribe, Windows Hyper-V, Microsoft Graphics Component, Internet Information Services, Server Message Block, Internet Explorer, Microsoft Edge, Windows Media Player, SHA-1 deprecation for SSL/TLS certificates, Microsoft XML Core Services, and the Windows kernel.